Have you noticed something missing from Fantastic Fun and Learning? There’s NO SNOW here! Living in Florida I definitely don’t get the chance to share any snow activities with you. 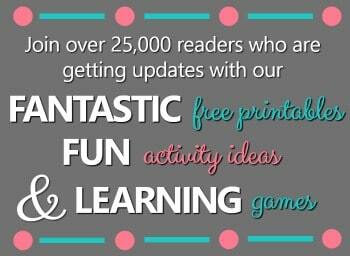 So when Sarah from the awesome site How Wee Learn contacted me about sharing a fun indoor snow activity that she and her family loved, I thought it would be a lot of fun to share with you. 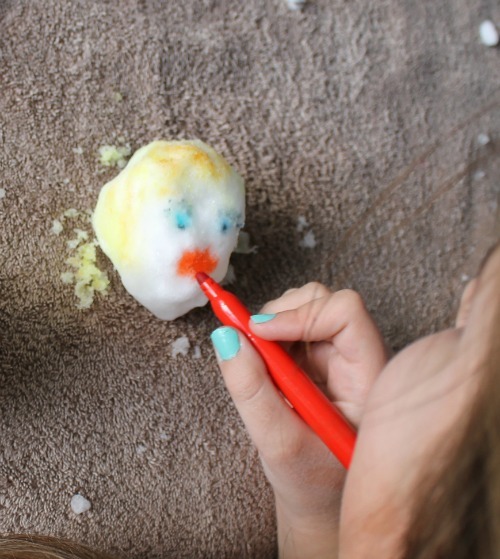 Take a few minutes to see how they incorporated art, fine motor practice, learning about emotions, and facial features into one fun indoor snow activity. Then stop by and check out How Wee Learn. 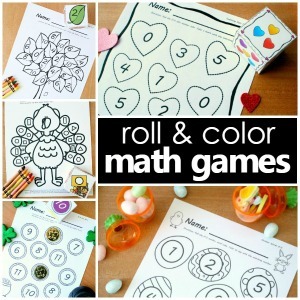 You’ll find great hands-on learning activities, outdoor play, and adorable crafts. Snow, snow, we still have snow. Though we do love being outside in the snow, we are limited to the activities we can do. Since it is so chilly where we live little fingers need to be in mittens (often doubled up), so we cannot do many fine motor activities outside this time of year. And truth be told, when it is -20 outside, I am quite happy to be outside just long enough to fill a tub with snow. Luckily, there is tons of fun to be had inside with snow! Here is a favorite indoor snow activity of ours. 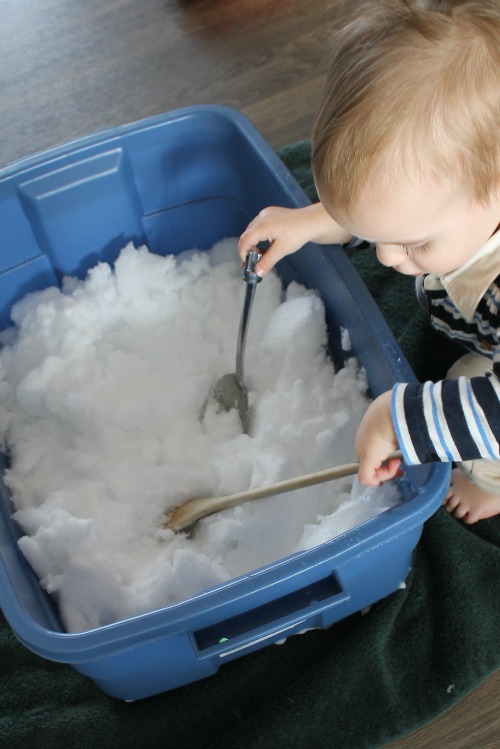 For this indoor snow activity we filled a big container with snow. Usually, we all bundle up, venture out, fill up a bird feeder or two, make some snowy footprints, then fill the big container with snow and trudge back inside 10 minutes later – chilly but refreshed. By the time we are all out of our hats, mittens, scarves, boots, coats, and snow pants and ready to play – the snow has usually melted. So then Mama pops outside quick to fill it for a second time and we are set! the rest of us get to making snowballs. Our warm hands make for great smooth snowballs! Melting the snow just enough to shape it however we would like. 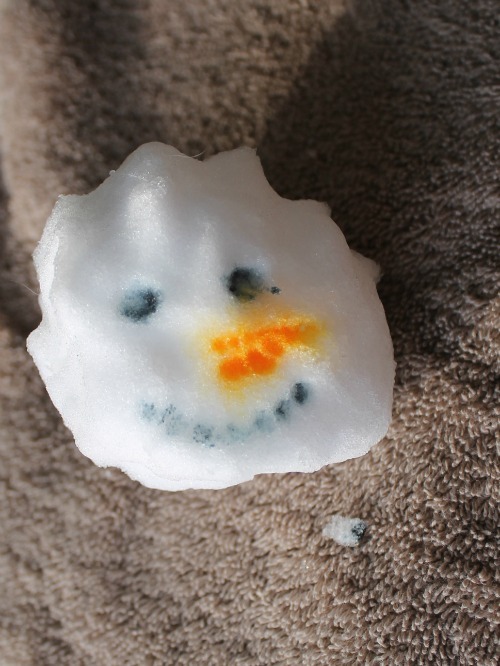 For this snow activity we wanted nice round snowballs to make snowball faces. Madeline (11) added some details to her snowballs shaping a little nose and pointed chin. We then got out the markers and drew on faces. It was neat to watch how the colors would go on so nice and neat and within a few minutes would start to blur as the colors were absorbed into the snow. These cute snowball faces were great for working on emotions with my 3 year old. We could make a snowball look happy, surprised, or sad. At first we were just focusing on the mouth of the snowball – but we started to notice other facial features when Madeline drew an angry face with slanted eyebrows! It would be a great extension to have a mirror beside little ones for this activity so they could practice the expressions themselves too. Very cute! I have never thought to use markers on snow before. We will have to give this a try!